Size: approx. 10-15 mm. Photo: 09/08/11, 10 pm. 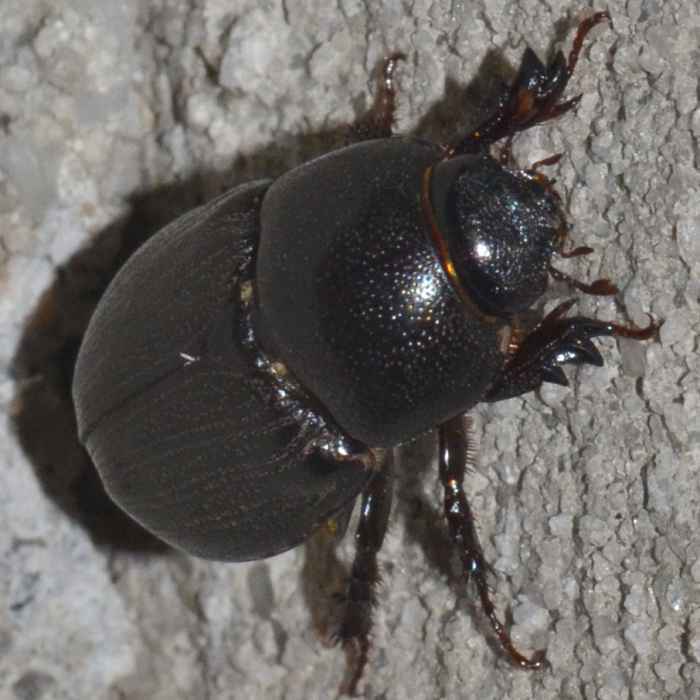 At some times these beetles are very common in our yard but one notices them mainly during the night whem they "bombard" our living room windows relentlessly. 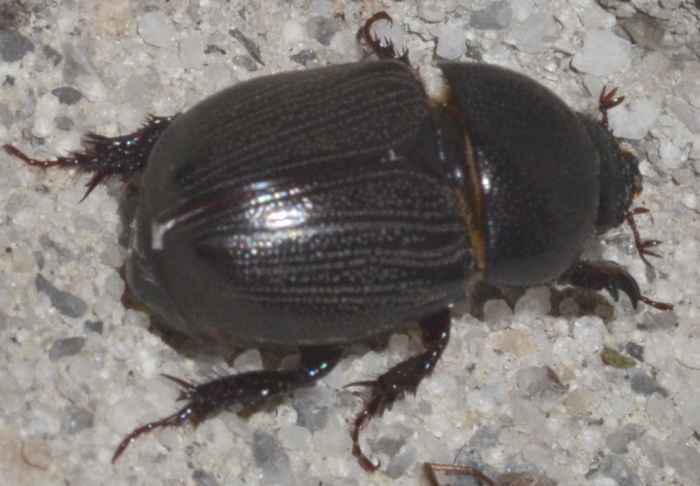 This one is a Sugarcane Beetle (Euetheola humilis). Their propulation numbers go through unpredictable cycles. Outbreaks of this minor pest have been recorded before the Civil War and as recently as 2008. They are persistent and strong diggers.